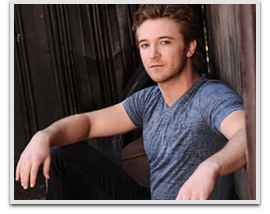 Michael Alan Welch is an American actor. He has portrayed the roles of Luke Girardi on the television series Joan of Arcadia and Mike Newton in the 2008 film Twilight and its sequels New Moon, Eclipse and Breaking Dawn. Welch has also had roles in The Drew Carey Show, The X-Files, Malcolm in the Middle, CSI: Crime Scene Investigation, Law & Order: Special Victims Unit and Grimm.